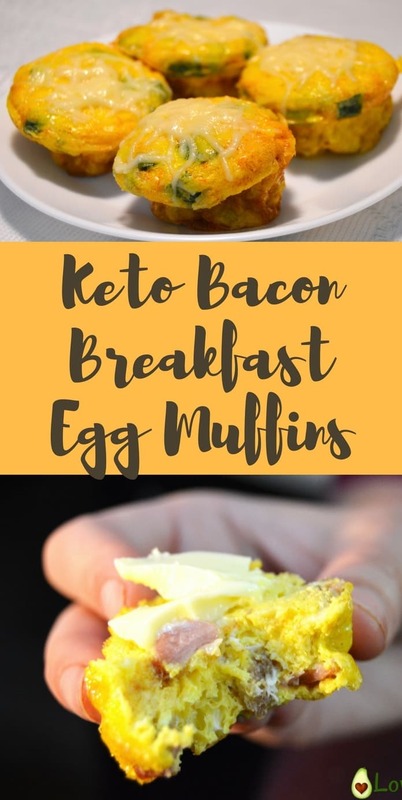 These keto bacon breakfast egg muffins are incredibly easy to make and can be made with foods that you already have at home. Mix some eggs, bacon, and veggies of choice. Season with your favorite spices bake and voilà you have amazing breakfast muffins that you can actually eat at every moment of the day. Eat them for breakfast with some butter on top, take them for lunch at school or at work. Serve them for dinner with a large leafy green salad. Also perfect for a quick snack. I love to drizzle some spicy jalapeno sauce on top. The muffins contain the perfect keto ratio of macros, are super low carb, high in fat and provide high-quality moderate protein amount. 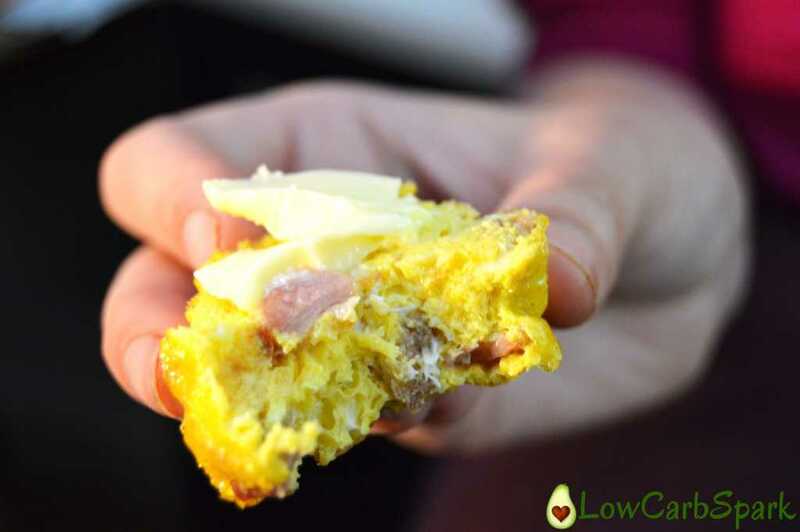 To prepare the basic keto muffin recipe, you will need some eggs. 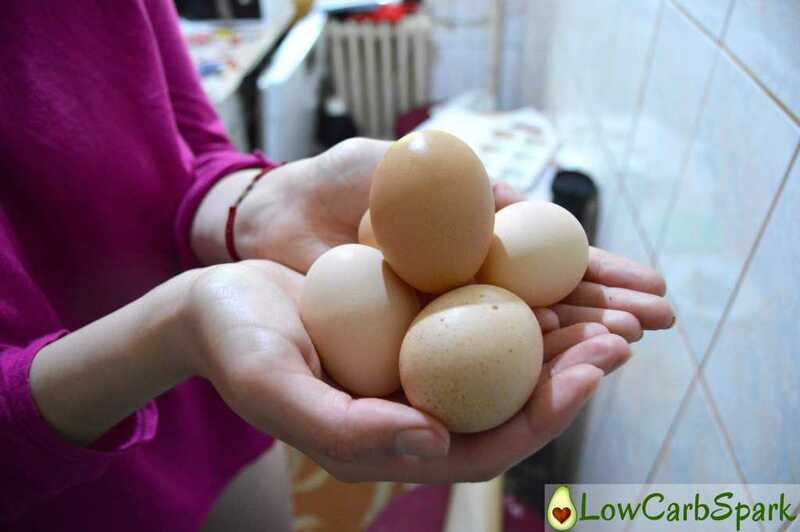 Eggs are super nutritious and contain almost every nutrient that we need in our diet. 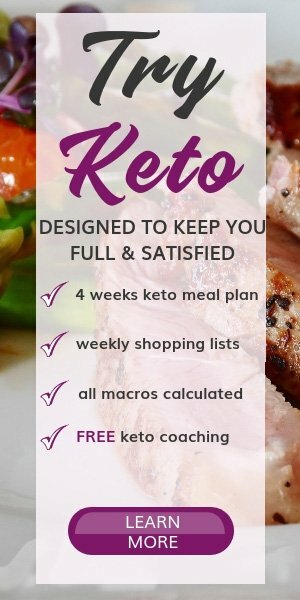 Eggs are also cheap, easy to cook and you can make keto brownies with them which is amazing. 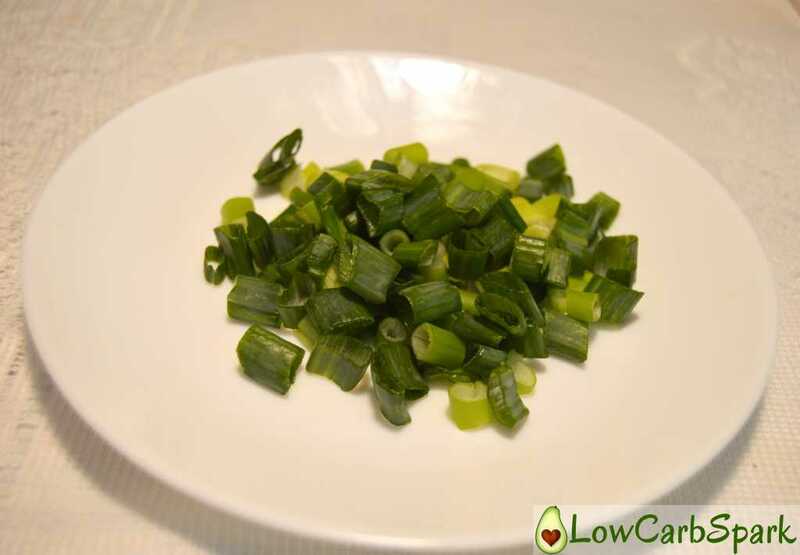 green onion. You can use any low carb vegetables you like. 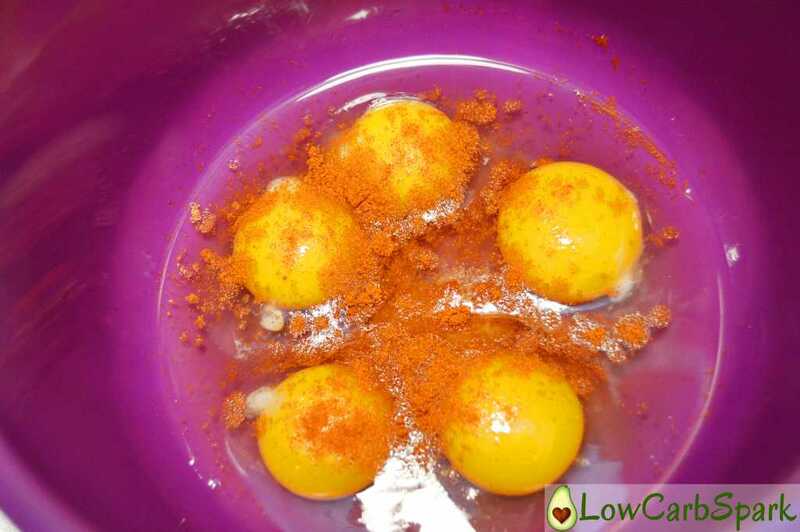 Start by cracking the eggs into a bowl, then add salt and yourfavoritee spices. I added smoked paprika and pepper. I whisked the eggs well and then took care of my bacon. 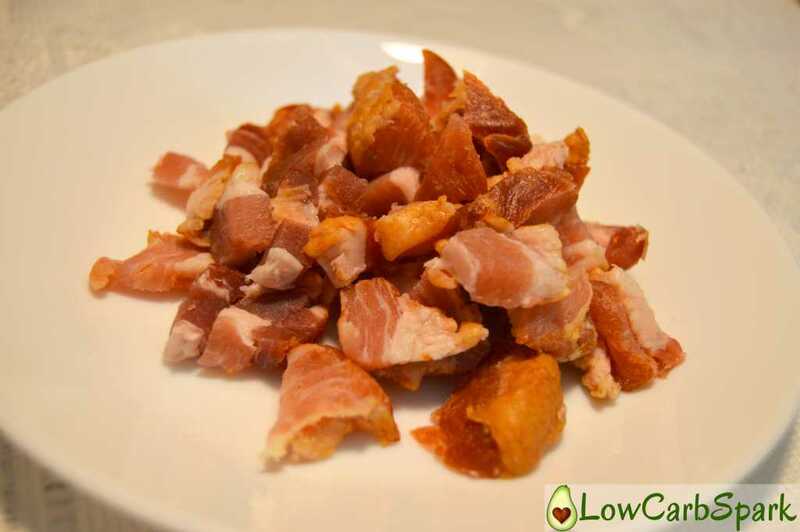 For this recipe, I used uncured bacon. I sliced it and cooked it in a pan until it gets a nice brown color. Bacon makes everything better. As green onions are in season, I decided to use a few of them to give a fresher look and taste to my keto muffins. 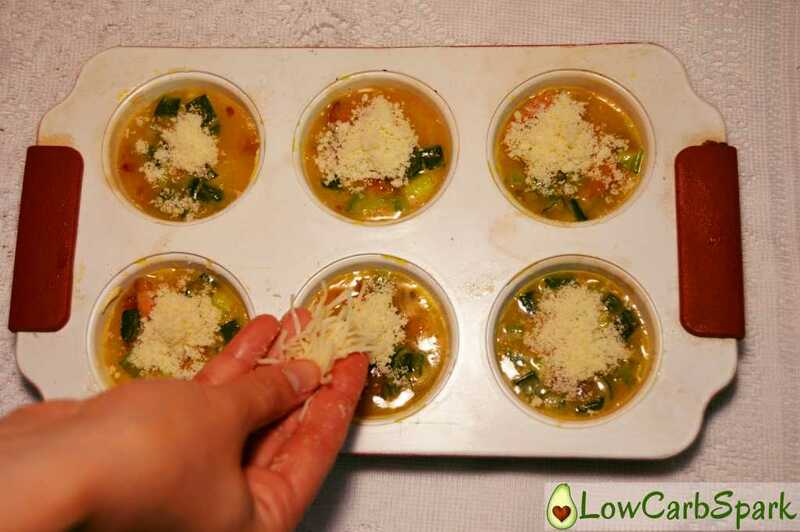 You can customize this recipe and add any vegetables you have on hand. 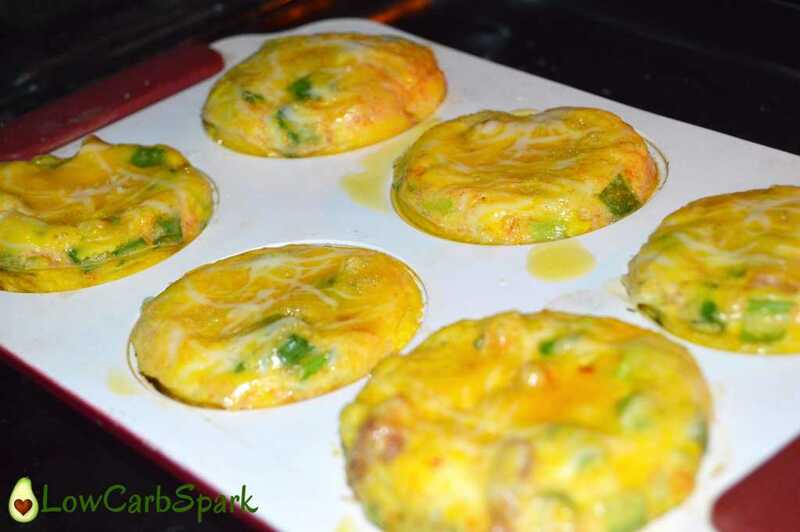 I love to make the muffins with red bell pepper cubes or with fresh spinach leaves. It’s the perfect way to incorporate more veggies into your diet if you’re not a huge fan of them. 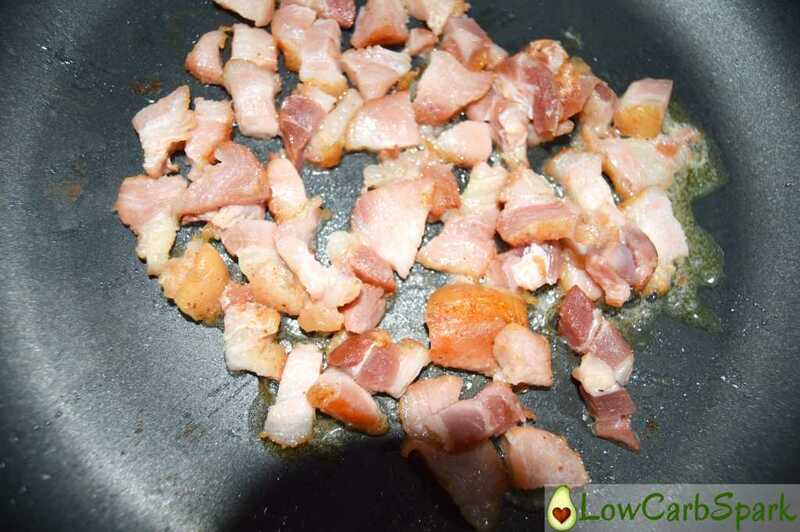 Incorporate the bacon and egg into the egg mixture. As you can see, my eggs have a nice yellow colour which it’s a sign that they are higher in omega-3 fatty acids, have more vitamins due to a more natural hen’s feed. Pour the combined ingredients equally (or at least try) in the muffin tray. 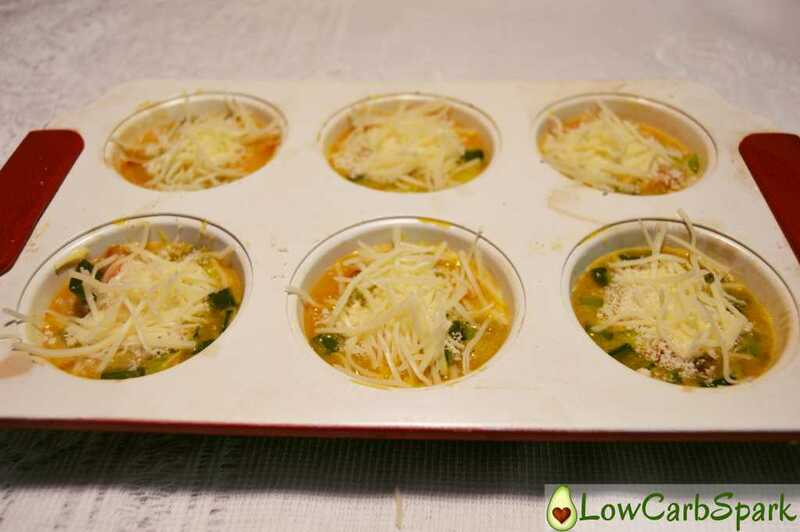 Sprinkle some Parmesan cheese and grated Emmentaler on top of each muffin. These are great with cheddar cheese too. I love that they are very customizable and nutrient dense. That’s what we need for a great start of the day. Let them cool down and serve with grass-fed butter on top. Get creative and share with me your creations. 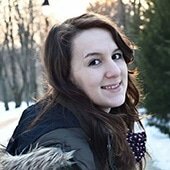 I would be thrilled to feature your beautiful pictures on my Instagram page. Having breakfast ready to go is one of my favorites things about the ketogenic diet. 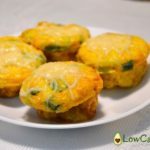 These keto breakfast muffins are incredibly easy to make and can be made with foods that you already have at home. Mix some eggs, bacon, and veggies of choice. Season with your favorite spices bake and voilà you have amazing breakfast muffins that you can actually eat at every moment of the day. 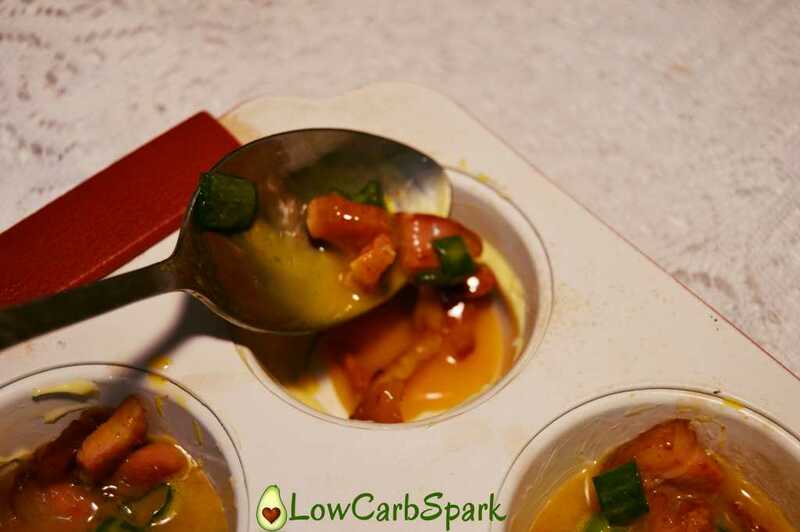 Crack the eggs into a mixing bowl, season with a pinch of salt and black pepper, then whisk together with a fork. 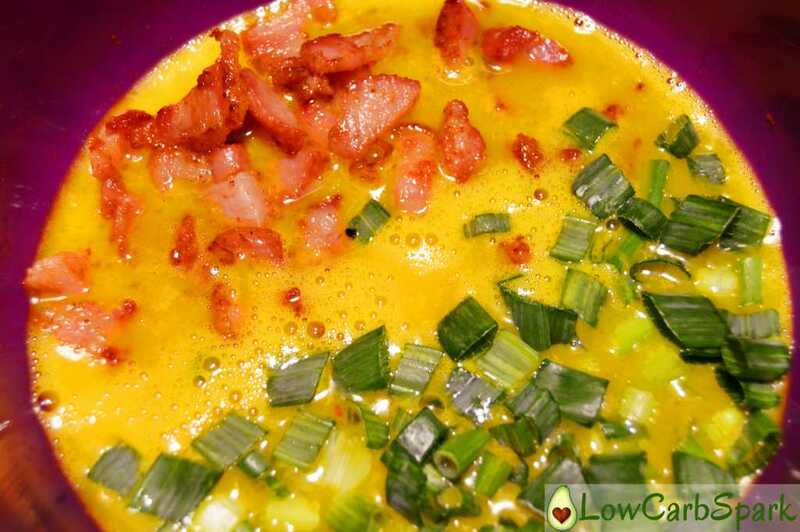 Add the bacon, cheeses and green onion to the egg mixture and whisk again. 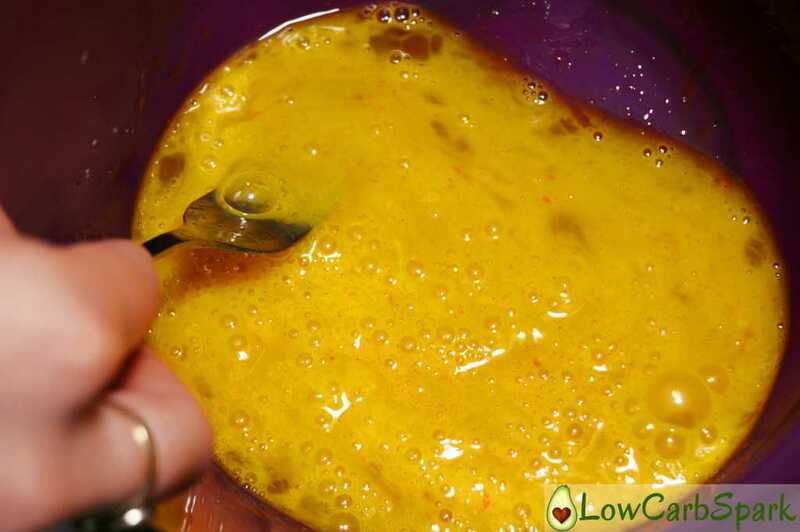 Grease a muffin tin with some butter or spray with non-stick spray. Pour the mixture evenly into the muffin cups. Bake the muffins in the 350 F preheated oven for 20-25 minutes. Serve them hot or cold with butter on top. How many muffins does this recipe make? I need to know if I need to double it!! Looks really good! Thanks! The recipe yields 6 keto breakfast muffins. Thanks for stopping by. I made them this morning!!! Awesome! Thanks for sharing! I just made this. Didn't have green onions, but I doubled it and added jalapenos to my fiancees half. They were amazing! Thanks for the easy recipe. Can you make these in advance & refrigerated? If so, how long are they good for stored in the frig? Can you freeze them & how long will they be good if frozen? Sure, you can make these in advance. They last for up to 5 days in the fridge and up to one month in the freezer!